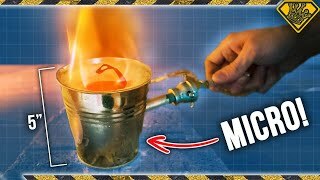 In today's video we're busting out a massive amount of silly putty and seeing if it works to cast molten metal in it! Siine - "Naked (Chez Remix) (Instrumental Version)"
Niklas Ahlström - "Burning Bridges (2010 Pop Version)"
Why are you talking like that?? Where can we find silly putty? Wait why didn't you press the silly putty in to a Tupperware or something like you did with the moon sand so it'd keep its shape???? 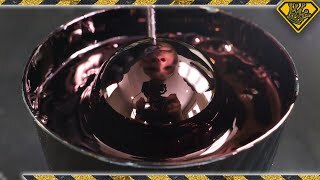 Can you mix gallium into slime? How can i get some Gallium? Something tells me i just cant go into a local hardware store and buy it. Maybe if you framed the silly putty, The Gallium will mold better? Give it a try. 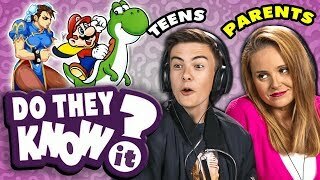 Can you melt down silly putty and cast stuff with it? I bet the gallium would have done better if the putty was put in the fridge before pouring. 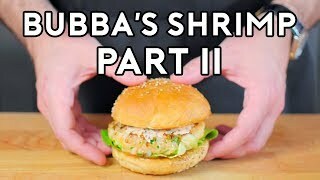 Microwaving silly putty would be really cool!!! What about freezing the silly putty before trying to cast in it? freeze the putty then try again with the gallium may work. 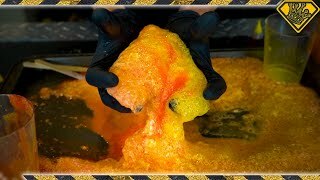 What happens when you melt silly putty in a forge? I’m pretty sure silly putty releases toxic gases with the heated but I’m not sure also??? Silly putty settles. If you want it to maybe work out, try putting it into a pan or container so it doesn’t move when the metal is in it. Can you put silly putty and put it in the blender and see what happens. 99.99999% positive that he only picked this experiment so he could show off his Kermit impression. Any idea on how often does the fire department gets called to this house? Now do it on slime! I'll bet your neighbors looove you! 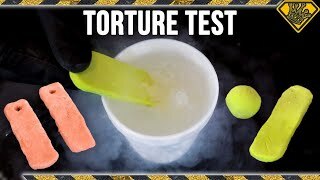 what if you put silly putty on a vacuum chamber? What if you had made a frame around the putty before putting the Gallium in? That way the putty couldn't break down and fall apart while the metal cooled. After all when you use sand you put it in a wooden frame, why not use the same wood frame and fill that with putty. What do you mean? That looks exactly like you!! Can you cast sillicone in silly putty? I live by Kertland Air Force Base and they have a large tower there, and my dad said that once my great uncle dropped a huge ball of silly putty of of it!